After months of speculation, it looks like the cat is finally out of the bag. 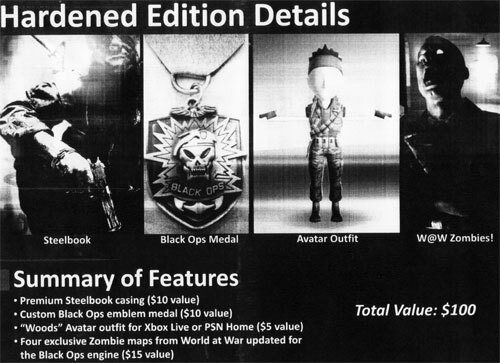 GameStop is handing out pamphlets and one of the pages has confirmed that the 4 co-op maps in the Hardened Edition are zombie maps from World at War. The "Zombie Mode" could be played in Call of Duty: World at War after beating the single-player campaign. The mode takes you and up to 3 other players against zombies. The objective is to survive as long as possible as the zombie waves get harder and harder.